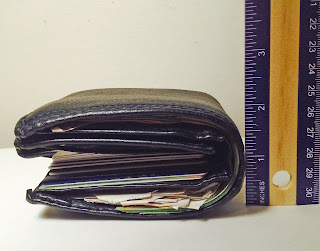 If you want to have more money left in your wallet at the end of the month than you do right now, while following all the usual financial advice will certainly help, there are many other little life hacks that you can put into place, which will fatten up your wallet and give you more disposable income to save, invest or even occasionally splurge! Is your cell phone bill always astronomically expensive, not because you talk and text a lot, but because you use a lot of data when you’re out and about? A little app called Onavo can help you with that. Onvavo will run in the background of your smartphone or tablet, where it works to reduce the amount of data everything else on your phone uses. Because it compresses the amount of data used, you can make huge savings and cut your cell bill right down. If there are stores that you use for regular purchases, and they offer gift cards, it is always worth checking out gift card resale websites like CardCash, where you can purchase unwanted gift cards for less. Although many of the discounts are modest, you can sometimes pick up gift cards for a third of their value, which means you can buy three times as many goods as you could with cash! If you have enough money in the bank to put together a deposit, it might be worth checking out the real estate market because you can make much more money buying and renting a home than you’d ever get in interest from the bank, but bear in mind that being a landlord does come with responsibilities. If you are confident in your abilities, or you have access to a good financial advisor, using any spare cash, you have to invest in the stock market could easily fatten your wallet. Of course, it is not without its risks, so think carefully before you buy any stock. Whether it’s switching out traditional light bulbs for LEDs, installing solar panels or just plain using less electricity, living a greener lifestyle will eventually lead to a fatter wallet, even if you have to make a few investments upfront. Related to green living, vampire charges are something you can easily avoid. These are the charges you pay to the utility companies for appliances that you have left on even when you’re not using them. Even appliances like your coffee machine will zap power when they're plugged in and unused, so get into the habit of switching off the plug whenever you’re done with something – it could save you hundreds of dollars each year. Sick of paying huge heating bills? Turn down your thermostat just a degree, and you’ll cut your bill by as much as 3 percent without noticing much difference in your comfort levels. What are your best life hacks that help you to maintain a fatter wallet and a bigger bank balance at the end of the month?